Your brakes are one of the most important parts of your car so why take chances on re-built or inferior brake products? Genuine Toyota brake components are designed specifically for your car and built to the same high standards as your original parts. From brake pads to calipers, rotors, drums and shoes, Genuine Toyota brake components help provide safety and durability. 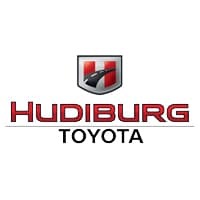 Schedule a Toyota Brake Inspection, Service or Repair at Hudiburg Toyota to keep your vehicle safe. *Additional cost for rotor replacement. Drum brakes additional. Toyotas only. If discount applies, it will be taken off the regular posted price. Must present coupon when order is written. Plus tax & shop supplies. Not valid with any other offer. Prior sales excluded. Valid only at your Oklahoma City Toyota Service Centers. Coast-to-coast warranty services at more than 1,2000 locations! Most models. Toyotas only. If discount applies, it will be taken off the regular posted price. Excludes Prius & all hybrid batteries. Must present coupon when order is written. Plus tax & shop supplies. Not valid with any other offer. Prior sales excluded. Valid only at your Oklahoma City Toyota Service Centers. Toyotas only. If discount applies, it will be taken off the regular posted price. Must present coupon at the time repair order is written. Plus tax & shop supplies. Discount applies only to recommended repair services found & recommended from vehicle inspection. Maintenance services, other coupons or advertised special offers are excluded. For parts & labor only. Offer not valid on tire purchases. One coupon per repair visit. Prior sales excluded. Valid only at your Oklahoma City Toyota Service Centers.